Pair of Louis XVI ormoulu, white and bleu turquin marble four light candelabra attributed to François Rèmond (1747-1812). 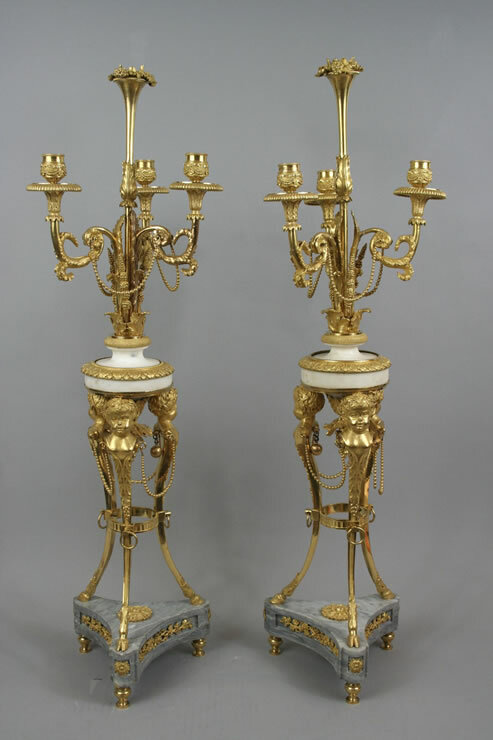 A pair of candelabra by Rémond in the Louvre has the same candleholders as the present pair. A drawing by Rémond depicts a similar candelabrum.